When Rene Hargreaves is billeted to Starlight Farm as a Land Girl, far from the city where she grew up, she finds farmer Elsie Boston and her country ways strange at first. Yet over the days and months Rene and Elsie come to understand and depend on each other. Soon they can no longer imagine a life apart. But a visitor from Rene's past threatens the life they have built together, a life that has always kept others at a careful distance. Soon they are involved in a war of their own that endangers everything and will finally expose them to the nation's press and the full force of the law. 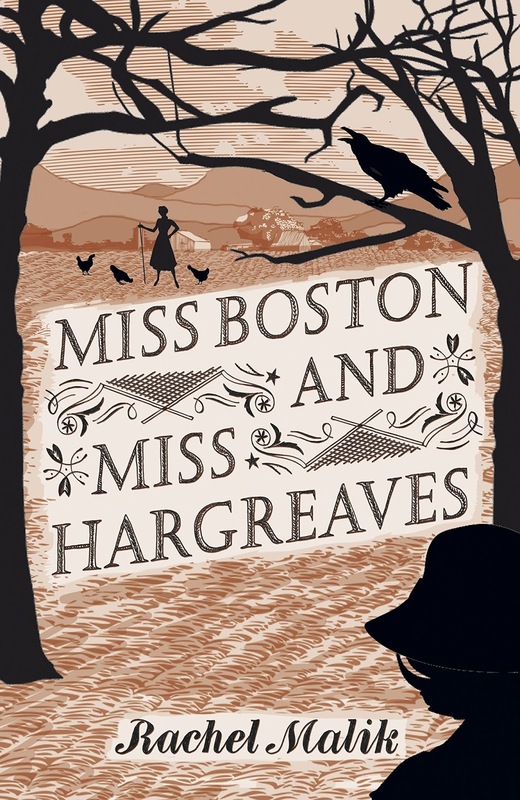 Miss Boston and Miss Hargreaves is a beautiful, gentle story with characters who were real people, in fact Miss Hargreaves is the author's maternal grandmother. I love stories that have a nugget of truth in them, however small the nugget may be. 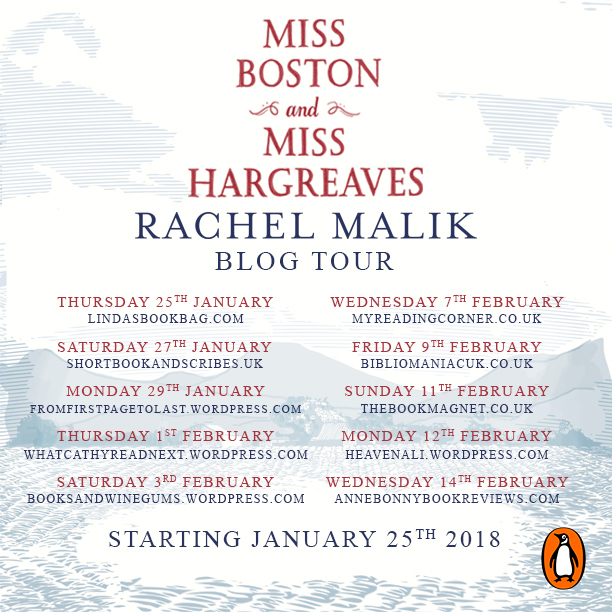 Rachel Malik came up with the idea for the book when she decided to find out more information about the elusive Miss Hargreaves, and what a beautiful story she has created from so very little information. Aside from the few facts stated in the Historical Note, we are reminded that Miss Boston and Miss Hargreaves is ultimately a work of fiction. I found it a refreshing change to have a book set during World War II which shows us the war from the perspective of the farmers and the countryside. There are no bombs and air raid shelters, although they might see a passing aircraft that has veered off course. With the men away to war, help on the land arrived in the form of land girls. Rene Hargreaves is allocated to Starlight Farm, owned by Elsie Boston. The pair get on so well that they naturally become good friends, but Rene is weighed down by secrets that threaten her new life in the countryside. We all know that secrets don't stay hidden for long in books, and Rene is about to see some devastating consequences when her past and present collide. Like life in the country, the pacing is quite slow so it did take me a while to get into the book. I think it really livened up when Ernest came to live with the ladies, although he was like a naughty child leaving his sticky fingerprints everywhere. It did make me chuckle imagining him eating and drinking Miss Boston and Miss Hargreaves out of house and home. The whole story becomes more poignant when you read the Historical Note at the end as Miss Boston and Miss Hargreaves evolve from 'characters' to 'people'. I didn't know until I read this that it was based on real people and it certainly made me pause for thought at the turn of events in the book. 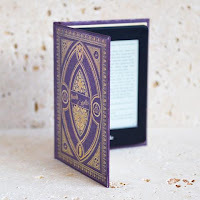 I think this would make a great book to ponder over with friends at book club; the quality of Rachel Malik's writing is very impressive, she has such an amazing attention to detail that enables her to draw beautiful pictures with her words. 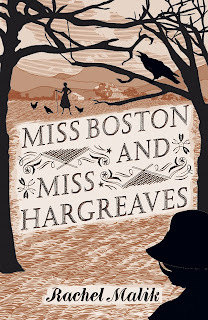 Miss Boston and Miss Hargreaves is a beautiful, moving and impeccable debut.